In celebration of Valentine’s Day, ThirdLove and LiveYourDream.org will join forces to raise funds for Soroptimist programs with a special Valentine’s Day Live Your Dream collection. From February 2 through February 8, ThirdLove will donate 10 percent of sales from this collection to the Soroptimist Live Your Dream Award program. We are grateful to ThirdLove for joining us in helping women disrupt the cycle of poverty, improve their self-esteem and serve as role models for their children. You can be part of this exciting movement by shopping the collection today! Our 2018 convention planning is in full swing and registration and hotel reservations will open any day! Check out https://www.soroptimist.org/members/meetings/meetings.html for the schedule, special events and general travel information. Also, President Dawn Marie would personally like to invite you to convention! We anticipate even more women participating in our international convention given the exciting location. To ensure our success, we are reaching out to previous convention sponsors and supporters with new, engaging opportunities for participation in Yokohama. This is your opportunity to showcase your club, region or small business to over 3,000 women from 21 countries and territories. Information on sponsorship opportunities can be found here or on the convention website. They will join the continuing members of the SIA Board for 2018-2019: Elizabeth DiGeronimo 2018-2019 President; Julieta Armendariz de Lopez, Bonnie Domonchuk, Minda Garcia, Sherry Pearson, Michiko Shoji and Toshiko Ryomoto. SIA headquarters upgraded the software for our membership database system on January 9. In order to login to the website to interact with any of our tools behind the login—including making donations, adding new members, or interacting with SIA member directories—new login procedures are now in place. All members and clubs must change their passwords to include at least seven characters, including one letter and one number. This change is in accordance with requirements for PCI compliance on websites that accept credit card transactions. We regret any inconvenience this change may cause you. If you have any questions or problems with the login process, please contact our membership services associates at siahq@soroptimist.org or 215-893-9000. 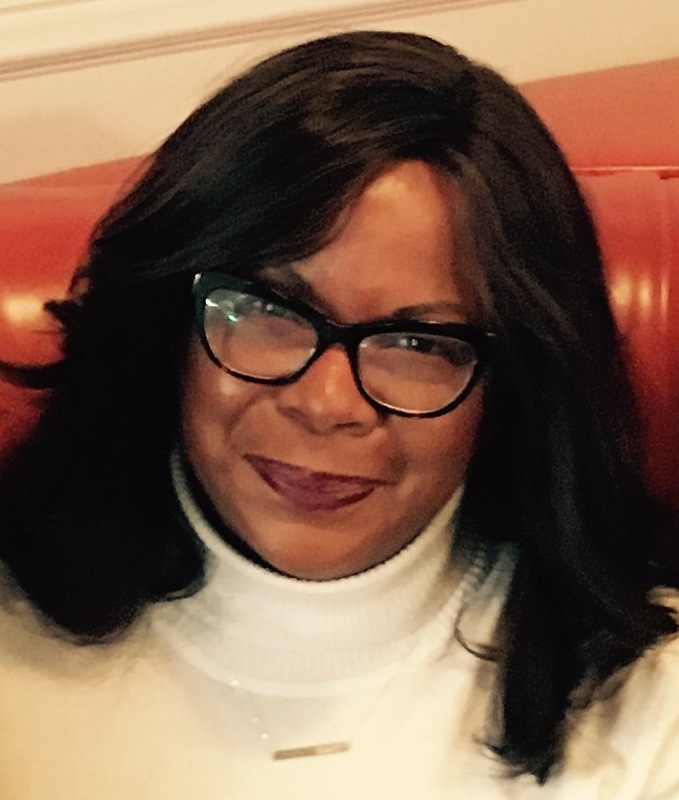 Meet SIA’s newest staff member, Linda M. Still, CMP. Linda joins SIA as meetings director. In this role, Linda will be responsible for designing and overseeing innovative meeting and event experiences that engage Soroptimist members and achieve organizational goals. Learn more about Linda! We are sad to report that Marilynn Hofstetter, 1980-1982 SIA president and 1987-1989 SI president, passed away on January 12. 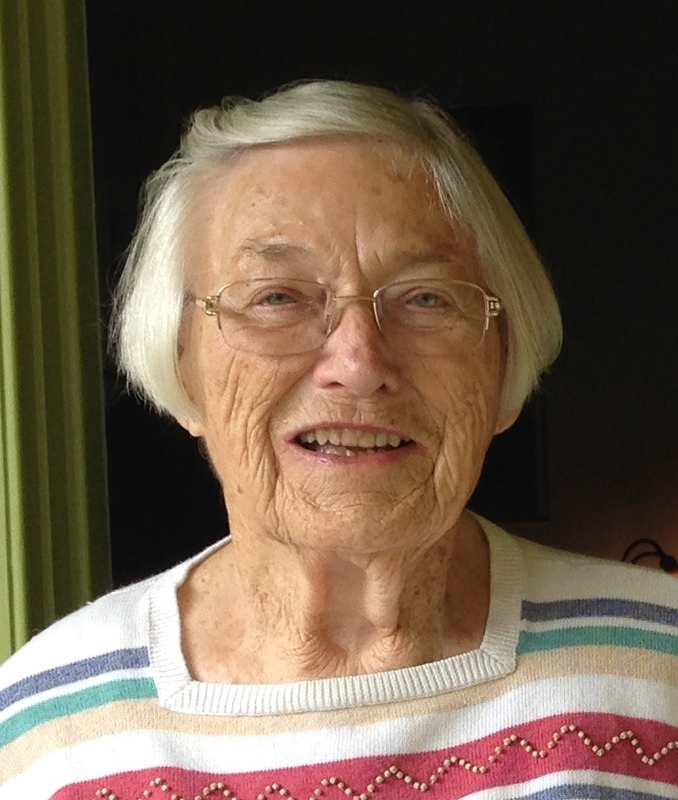 Marilynn, who joined Soroptimist in 1954, also served as former Pacific Region governor and secretary, and district director. Throughout her life, she was a champion of women and a role model to many. She was Whittier’s first woman and Democratic mayor (1968-1970), and served on the City Council from 1960-1972, where she helped raise awareness of the impact on women of the laws and policies of the city. She was one of three women in her class to graduate from from Boalt Law School at University of California Berkeley. She is survived by a nephew, niece and several cousins. #MotivationMonday is here at SIA! 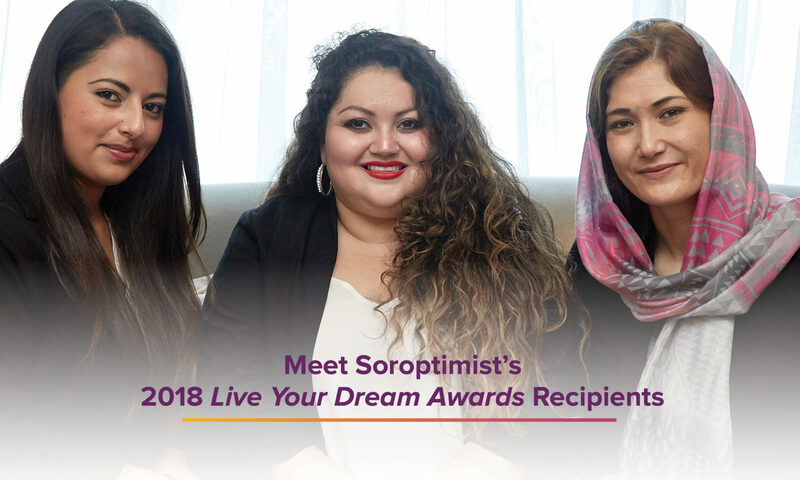 Check out our Soroptimist International of the Americas Facebook page each Monday—we’ll be featuring clubs that go above and beyond to deliver outstanding Dream Programs. Start your week off with some inspiring ideas for Dream It, Be It or the Live Your Dream Awards! Your club can win US$1,000 for Dream It, Be It! Submit evaluation information for your Dream It, Be It project(s) to the online form on SIA’s website BEFORE JUNE 1, 2018, to be entered into a raffle to win $1,000 for your 2018-2019 Dream It, Be It project. Did you know studies have shown volunteering improves your mood and can reduce stress? Use the latest recruitment flyer to appeal to those who want to find calm! This professionally designed, customizable template is easy to download and add your club’s contact information. Then you can share it in your community to draw in new members who are looking to change the world with us! Raise awareness about Soroptimist with our business-size cards featuring space on the back where you can easily write in your contact information or adhere a standard sized mailing label with your club’s information. These wallet-size cards are a great way to quickly share your club’s contact information with anyone you meet who expresses interest in Soroptimist. 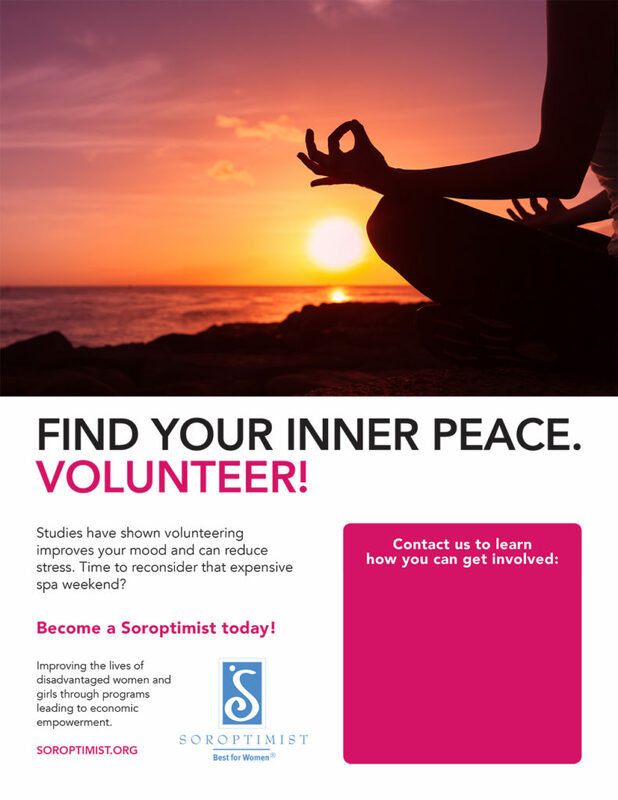 You can find customizable online templates here, or purchase a pack of cards from the Soroptimist store today! It is not enough to celebrate “girl power” without also providing examples of strength. We can’t tell girls they can change the world without equipping them to take on the task. One way to accomplish this is for positive role models to serve as mentors. 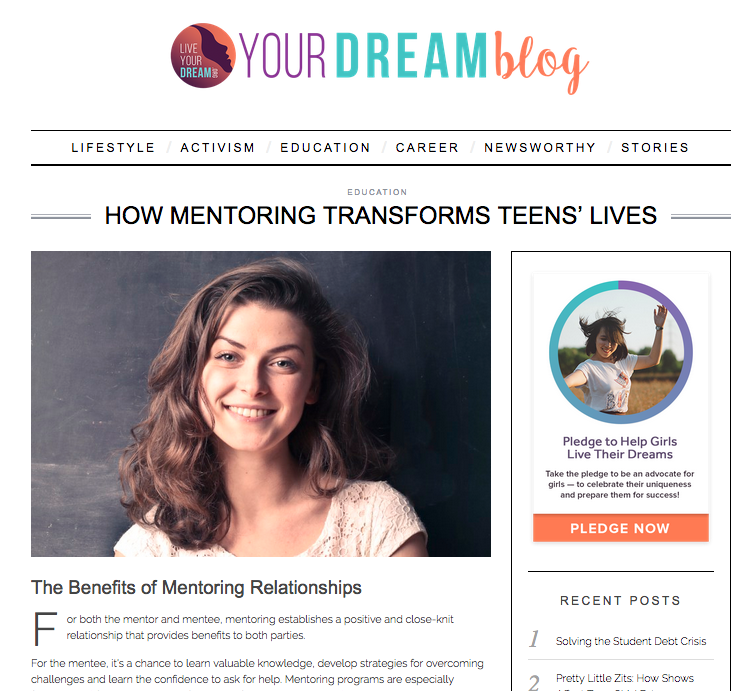 Find out more about how mentoring transforms teens’ lives and how we can support girls so they can change their lives for the better! 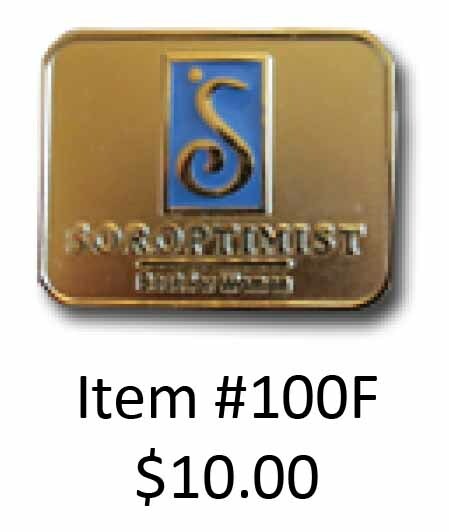 The Best for Women Pin (item #100F) is one of our most popular sales items for good reason. The stylish blue- and gold-finish pin is the perfect gift for new members or to add to your collection. Measures 1″ wide by 7/8″ high and features a straight pin back with safety clasp.